Attaching these rails to my pots and pans cupboard door to hold lids has stopped me screaming every time I open it. I can now find the right lid for the right pan. Do it, if you haven’t already. 2. VARIERA shelf insert £2. These little shelves have doubled my cupboard capacity. Is it going too far to say they have changed my life?! You NEED to get these. 3. BEKVAM spice rack £3. 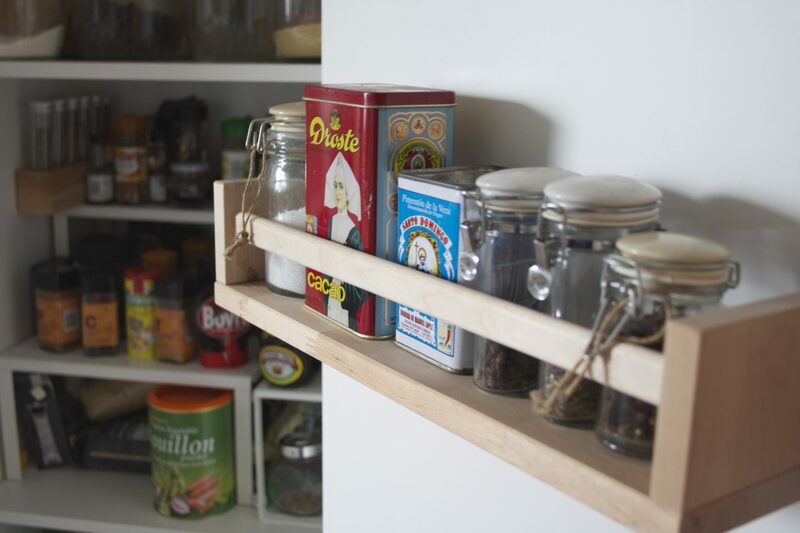 Attaching these spice racks to the inside of your food cupboard doors adds so much extra storage. They also makes things easier to see. 4. KNUFF magazine files £6.75. 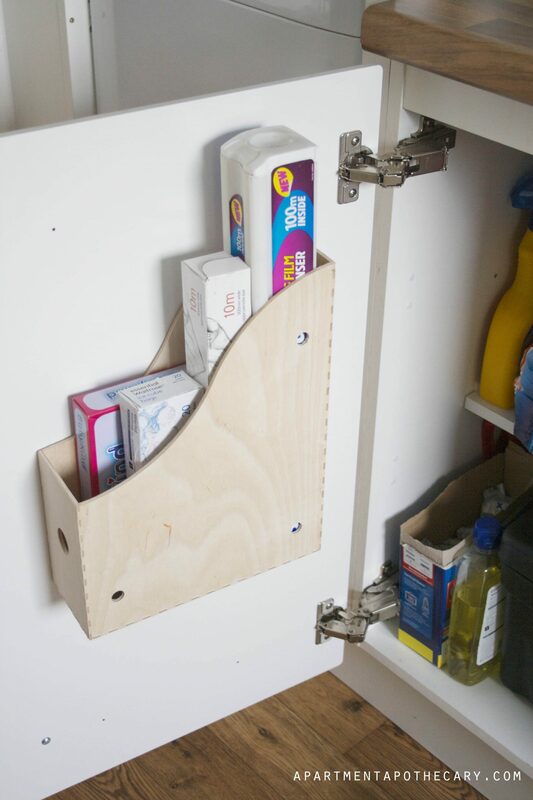 Screwing these to the inside of kitchen cupboards adds space to store more bulky items like chopping boards, cleaning products etc. Not a dull post at all – I actually love these kinds of posts! 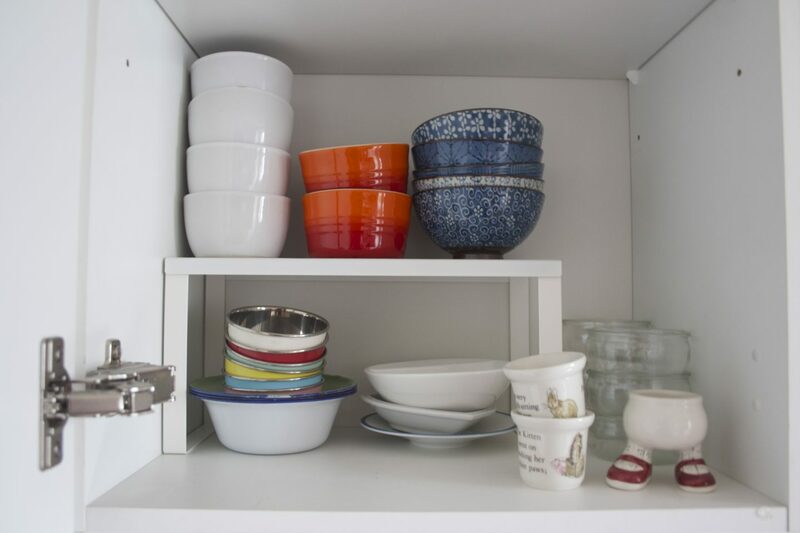 Pan lid storage idea is genius. Lids everywhere drive me insane! Love kitchen organisation. Thanks! This is far from a dull post, in fact rather useful. 🙂 I LOVE being organised and you’ve listed some good and resourceful ways of doing so. The magazine file idea is especially interesting. 🙂 Must go to Ikea soon. Saucepan lid shelves. Fantastic! Need to go to an Ikea. Never need shopping in one. Love all the storage ideas. Clever girl. Genius! Have already started de-cluttering and culling inspired by your last post. Although the hubster has taken to culling vintage plates saying they don’t go in the dishwasher. After you have done your cupboards can you come and do mine please? Where do you find screws short enough that they don’t go through the cabinet door? Its awesome! It helps to keep things in proper way and handy as well thanks for the idea. 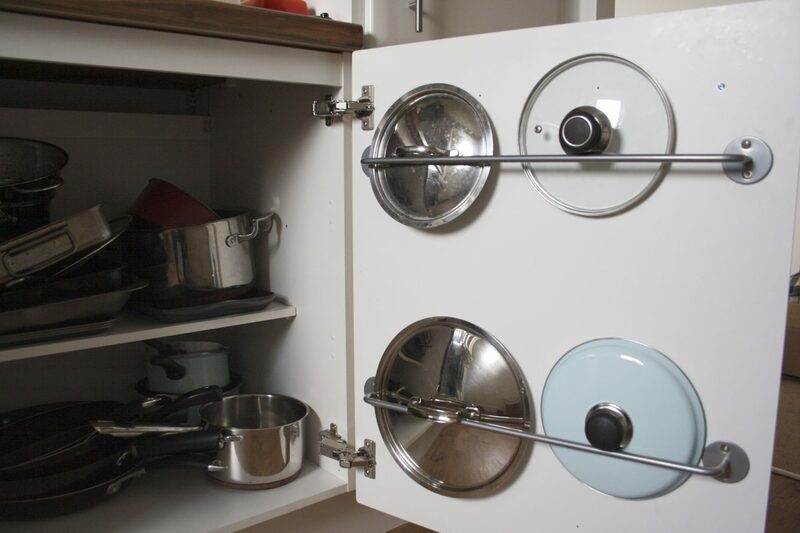 Definitely going to do the pots and pans lids holder – great idea!